One of the most important factors in the amount of time and effort it takes to getting one of your Web pages to rank in the search engines is the current level of existing credibility the page has in the eyes of the search engines. Credibility is often measured in how long a particular search engine has known about the page. Of course, the amount and quality of content on the page also matters. So do other factors, like how many other Websites link to your Web page. 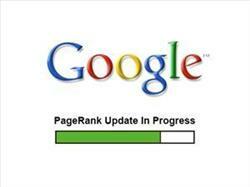 The primary way to evaluate the overall credibility of your pages is by viewing it’s Google “PageRank”. The scale runs from 0-10 with ten being the best possible score. PageRank (aka “PR”) is one of the methods Google uses to determine the relevance or importance of a Web page. It’s important to note that PageRank is not the only determining factor in where your page will be ranked or what the future SEO future holds for you and your Website. There are plenty of examples in which low PR pages rank high in the search engines (usually for keywords that aren’t very competitive). PageRank is just general barometer . . .
How do I view the PageRank of my pages? Login to your RankPay account and view the PR of the pages you have already assigned to keywords. Do this by clicking on the Active Keywords or Pending Keywords tabs. You can also use a Website that has a PageRank tool like PageRank.net.